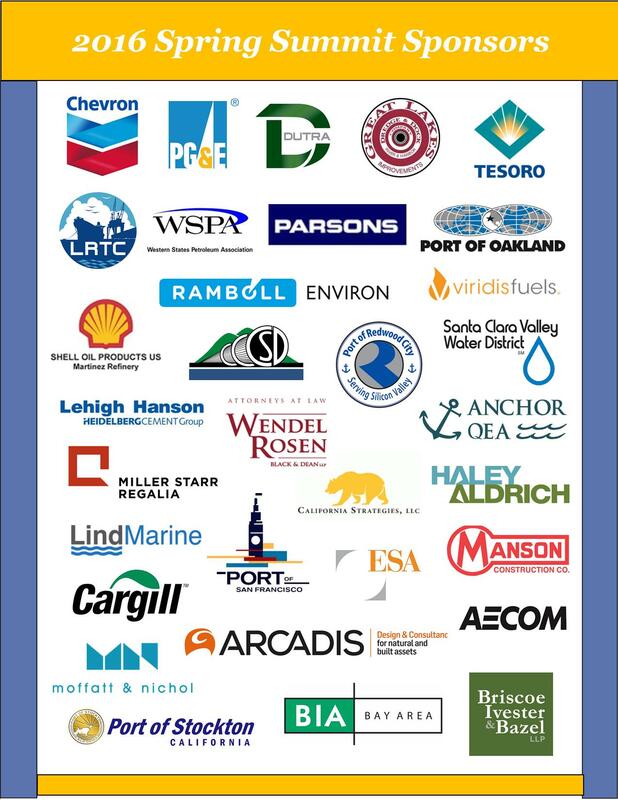 Stakeholders, regulatory agencies, and experts from across the San Francisco Bay Area convened at Bay Planning Coalition’s Spring Summit on May 6, 2016 to discuss in-depth about issues in the areas of dredging and beneficial reuse, sustainable waterfronts, and infrastructure. The revamped event featured interactive conversations with expert panels focused directly on furthering the conversation around the risks and rewards tied to the changes coming to the issues our members care about most. Rather than making lengthy presentations, panelists were engaged in conversation with each other and with the audience. Furthermore, thoughts from the audience were gathered by using provided “clickers” to perform electronic polling throughout the program. Lastly, this year’s agenda featured additional opportunities for networking. Watch all videos from the Spring Summit at BPC’s YouTube channel! Click on the links below to view available program materials. This looks like a wonderful event that would interest all Bay Area residents. Will this event be videotaped and be made available for local Access Television channels? Regardless, we can at least help to promote the event and will do so. With so many public agencies involved, I invite you all to find the Government-Access operators that serve your community to do the same and provide playback of any video that does get recorded from this event. Hi Chris! The conference will be recorded and uploaded to our YouTube page (https://www.youtube.com/channel/UCLWlNa0h8IXKHImRgV4o33A) within 1-2 weeks after the event. We will consider your suggestion to get it on local access television channels in the future as we agree that these are discussions and issues Bay Area residents should be engaged in. Thanks, Chris!